Judicial Order - Every judicial or / and quasi­-judicial order passed by the Court / Tribunal / Authority concerned, which decides the lis between the parties, must be supported with the reasons in support of its conclusion. The parties to the lis and so also the appellate / revisionary Court while examining the correctness of the order are entitled to know as to on which basis, a particular conclusion is arrived at in the order. In the absence of any discussion, the reasons and the findings on the submissions urged, it is not possible to know as to what led the Court / Tribunal / Authority for reaching to such conclusion. 2. Pr. Commissioner of Income Tax 6 v. Nokia India Pvt. Ltd. The Income Tax Act, 1961 - Section 260­A - Appeal - Substantial Question of Law - Whether the High Court was right in dismissing the Revenue's appeal in limine holding that it did not involve any substantial question of law ? 3. When admittedly the notice in question satisfied the requirements of Section 148 of the Act as it stood, namely, that first, it contained the facts constituting the "reasons to believe" and second, it furnished the necessary details for assessing the escaped income of the assessee, whether the ITAT was still justified in declaring the notice as being bad in law without taking into consideration any of these admitted facts. 4. In case, if the notice is held proper and legal, whether the finding recorded by the ITAT on the merits of the case on each item, which is subject matter of the notice, is legally sustainable. The aforementioned four questions framed need to be answered by the High Court on their respective merits while deciding the appeal filed by the Revenue under Section 260­A of the Act. The Tamil Nadu Hindu Religious and Charitable Endowments Act, 1959 - Sections 77 to 85 - Encroachment on the land belonging to religious institutions - the respondents did not resort to the remedies provided to them under the Act against any of the appellants - the action taken by the respondents, which was impugned by the appellants in the writ petitions before the High Court, was not taken under the Act, 1959 - Granted liberty to the respondents to take recourse to the remedies provided to them against the appellants individually in relation to the controversy raised by them in these proceedings. Section 77 of the Act, 1959 deals with transfer of lands appurtenant to or adjoining religious institutions prohibited except in special cases. Section 78 deals with encroachment by persons on land or building belonging to charitable or religious institution or endowment and the eviction of encroachers. Section 79 deals with mode of eviction on failure of removal of the encroachment as directed by the Joint Commissioner. Section 79­A deals with encroachment by groups of persons on land belonging to charitable religious institutions and their eviction. Section 79­B deals with penalty for offences in connection with encroachment. Section 79­C deals with recovery of moneys due to religious institution, as arrears of land revenue. Section 80 deals with eviction of lessees, licensees or mortgagees with possession in certain cases. Section 81 provides for an appeal against Joint Commissioner or the orders of Deputy Commissioner passed under Section 80. Section 82 provides for payment of Compensation. Section 83 deals with constitution of Tribunal. Section 84 deals with suits against the award. Section 85 provides for protection of action taken under Chapter VII of the Act, 1959. The Maintenance of Internal Security Act (MISA), 1971 - Section 3 (2) - The Defence of India Act, 1971 - Section 6 (6) (c) - The Internal Security (Amendment) Ordinance, 1974 - Section 2 (1) (c) (iii) - The Conservation of Foreign Exchange and Prevention of Smuggling Activities Act (COFEPOSA), 1974 - Sections 10, 10A and 12A - The Smugglers and Foreign Exchange Manipulators (Forfeiture of Property) Act (SAFEMA), 1976 - Maximum period of detention - Extension of period of detention - Special provisions for dealing with emergency - Application. An order of detention under Section 3(1) of COFEPOSA can be made against a person with a view to “prevent him from acting in any manner prejudicial to the conservation or augmentation of foreign exchange” or with a view to prevent him from indulging in activities mentioned in said Section 3(1). If the Advisory Board finds that there is sufficient cause for detention under Section 8(f), the period of detention under Section 10 could be one year or the “specified period” whichever expires later. In cases where a declaration under Section 9 was issued, the maximum period of detention in terms of said Section 10, upon approval being accorded by the Advisory Board, could be two years or the “specified period” whichever period expires later. Explanation to Section 10 states the “specified period” to be the period during which the proclamation of Emergency issued under Article 352 of the Constitution, inter alia, on 25.06.1975 would be in operation. If an order of detention was passed after the commencement of the Amendment Act of 1975 and the officer making the order of detention considered the detention of such person to be necessary for dealing effectively with the Emergency, a proclamation under Section 12A could be issued. The Conservation of Foreign Exchange and Prevention of Smuggling Activities Act (COFEPOSA), 1974 - Sections 10, 10A and 12A - The Smugglers and Foreign Exchange Manipulators (Forfeiture of Property) Act (SAFEMA), 1976 - Orders of detention under COFEPOSA can be of three kinds; (a) under Section 3(1) simplicitor, or (b) one passed under Section 3(1) followed by Declaration under Section 9 or (c) one passed under Section 3(1) and Section 12A. In terms of Section 2 of SAFEMA, the provisions of said Act would apply inter alia to every person in respect of whom an order of detention had been made under COFEPOSA, subject to proviso contained in Section 2(2) (b). Proviso to said Section 2(2)(b) of SAFEMA then carves out four exceptions to the applicability of substantive provisions to Section 2(2)(b). First three parts of the Proviso deal with three kinds of orders of detention under COFEPOSA as stated above and stipulate that if the order was revoked during the period mentioned therein, the substantive provision would not apply. Part (iv) of the proviso get attracted where the order of detention is set aside by a court of competent jurisdiction. For the substantive provision under Section 2(2)(b) to apply the matter must not be covered under any of those four parts of the proviso. Part (i) of the proviso to Section 2(2)(b) deals with cases to which Section 9 or Section 12A of COFEPOSA do not apply. In the present case there was neither any declaration under Section 9 nor was there any proclamation under Section 12A. The order of detention was also not passed after the Amendment Act of 1975 came into force. Thus, Section 9 and Section 12A do not apply in the present matter. In terms of said Part (i) of the proviso, if the order of detention was not revoked under the conditions stipulated therein, the substantive provisions of Section 2(2)(b) must apply. In the instant case there was no such revocation and going by the text of Part (i) of the proviso, the provisions of SAFEMA must apply in the instant case. 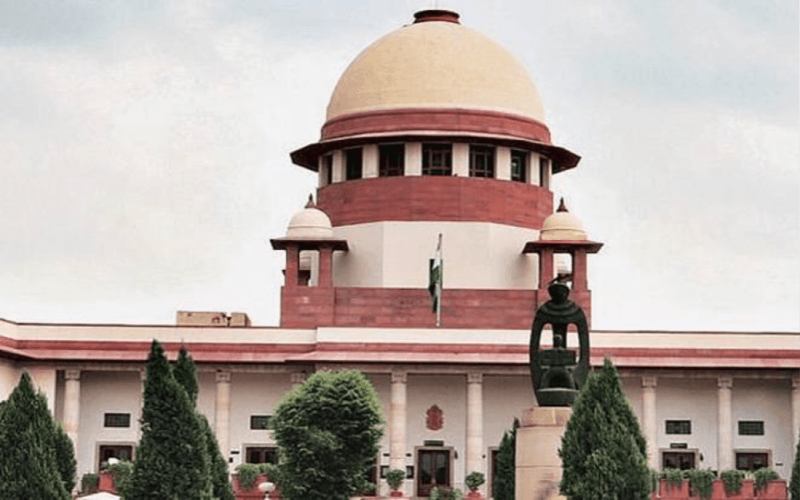 Parts (ii) and (iii) of the proviso are cases where substantive orders of detention to which provisions of Section 9 and Section 12A respectively apply and as such they are not relevant for the present consideration. Part (iv) of the proviso which speaks of cases where order of detention is set aside by a court of competent jurisdiction, applies irrespective whether the matter comes under Section 3(1) simplicitor or comes under Section 9 or Section 12A. The order of detention was not set aside in the present matter and as such Part (iv) is also inapplicable to the present case. The Protection of Children from Sexual Offences Act, 2012 - Section 354(a) of IPC read with Section 9(f), 10 and 11 - The Maharashtra Employees of Private Schools (Conditions of Service) Rules, 1981 - Allegations of sexual harassment of adolescent girls.